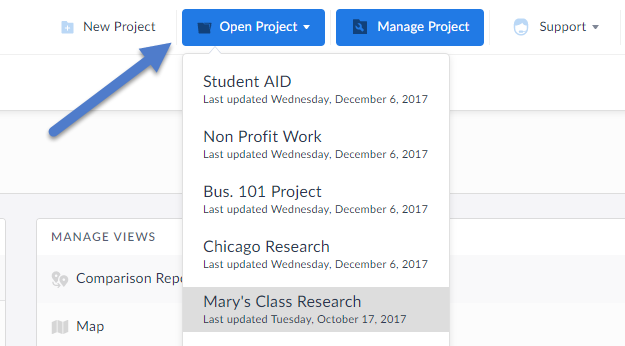 Enter a new name within the available text field and hit Enter to save your current project. 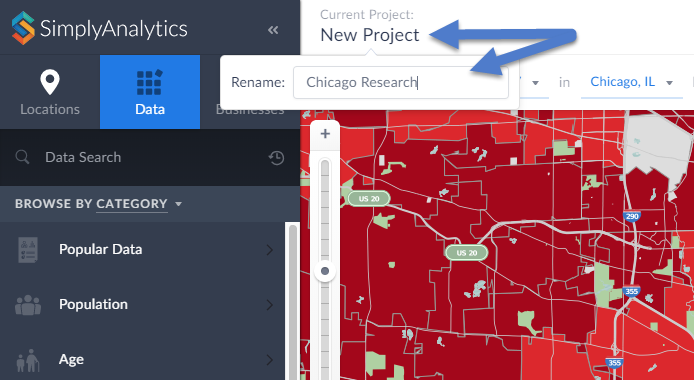 You can choose to remove any locations, data variables or searches within your project using the options available towards the left of your workspace. This will remove those items from all views they reside in along with removing them from the Edit View screen. Manage Views: The three-dot menu within this area will allow you to delete or rename the view. Additionally, the up and down arrows will allow you to arrange your views in order of how they appear on the right-hand side of the interface. Creating a New Project: Select New Project to get started with a brand new project (no locations, variables, searches). You can always select Open Project to toggle back to older projects. That’s it for this week’s blog, stay tuned for more!